So you want a new camera for the new year? You still have 9 days to make that a reality. 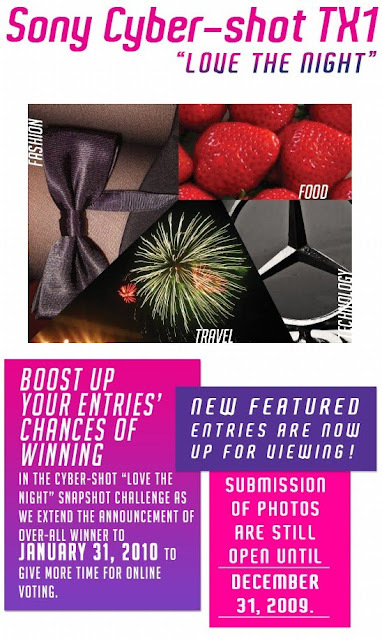 Experience the magic of the night by joining the "Love the Night" snapshot challenge and get a chance to win Sony Cybershot TX1. 1. 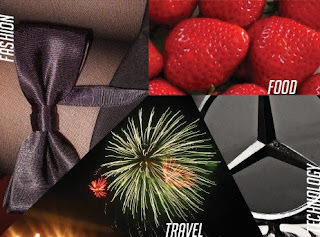 Take a photo using any point and shoot camera with the theme "Love the Night" under the following category: Fashion, Food, Travel and/or Technology. 2. Share the story behind the photo. Click here for more details or visit http://statusmagonline.com/sonycybershot/ for more info and view other entries.